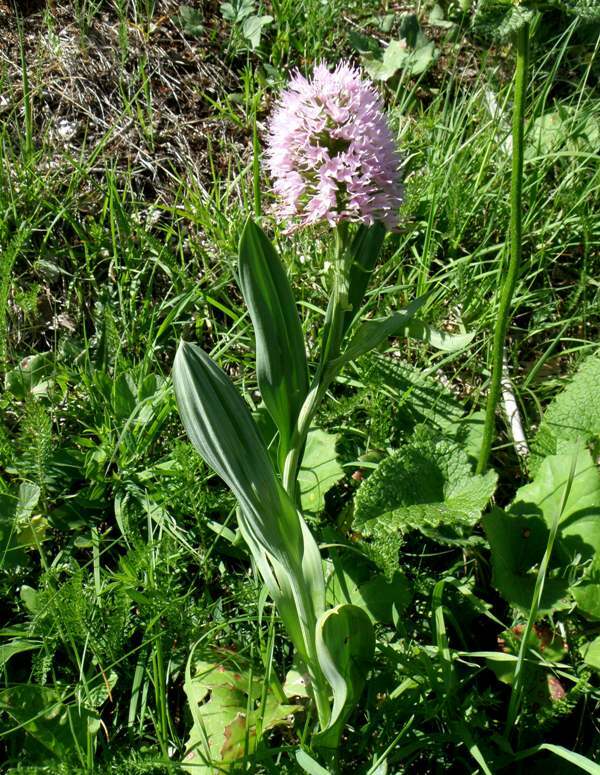 The plant grows up to 70cm in height and has between 4 and 6 dark green unspotted leaves which sheath the stem and and become progressively smaller the higher up the plant they are. The stem is yellowish and somewhat sinuous. The infloresence of Traunsteinera globosa is acutely conical at first, becoming rounded when all the flowers are open. 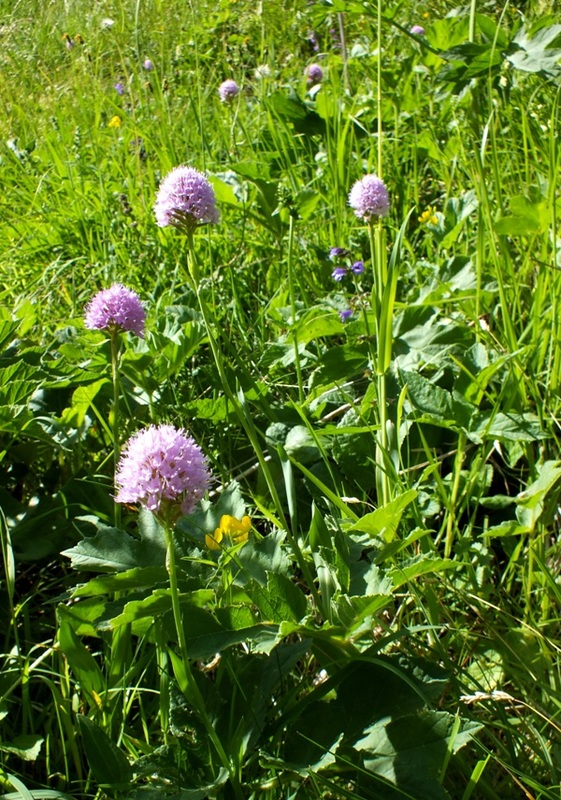 The numerous small flowers vary in colour from pale pink to lilac. Unlike many orchid species the appearance of Trausteinera globosa is stable and shows remarkably little variation. 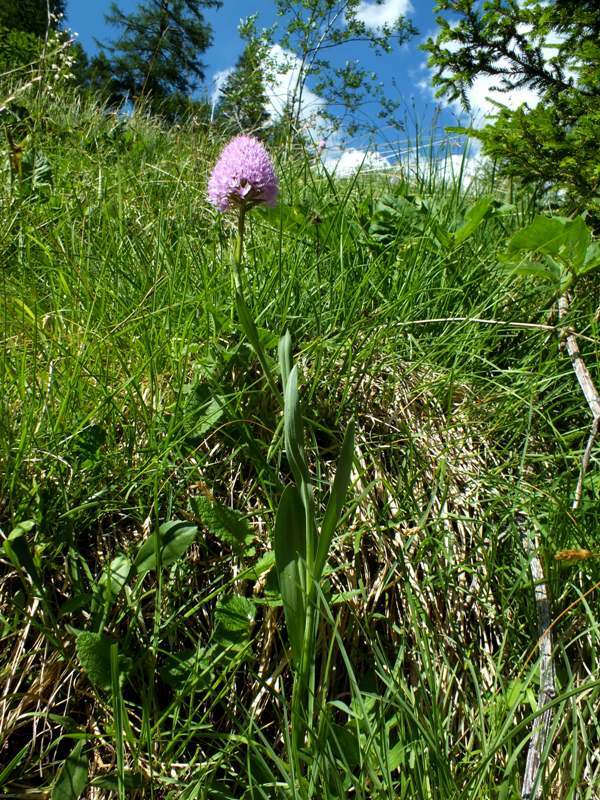 Traunsteinera globosa grows in mountains in Europe and can be found in Italy, France and north to southern Poland. In all its territories it is localised and rare. 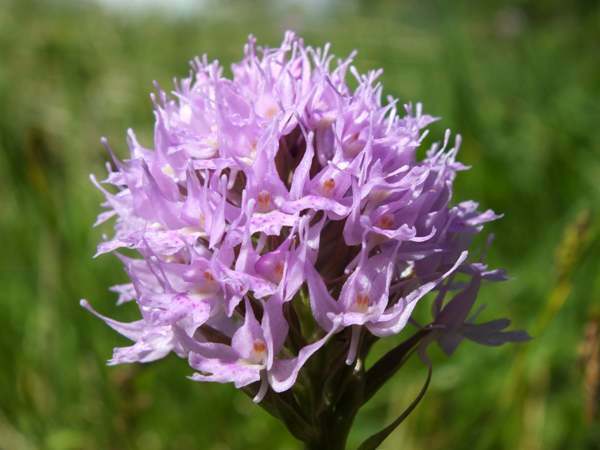 This orchid can be found in short poor grassland and alpine meadows between 1,000 and 3,000 metres above sea level. It grows in dry to slightly moist conditions in open sunny positions on both mildly acidic and calcareous substrates. Traunsteinera globosa flowers from the end of June to the middle of August, which is much later than many other orchids that occur in the same regions. The specimens shown on this page were photographed in the Dolomite Mountains, northern Italy, in early July.